As soon as Nike launched the Total 90 Laser III, there was one thing that almost all boot fans agreed on – that the Electric Green colourway was bold, very bold. 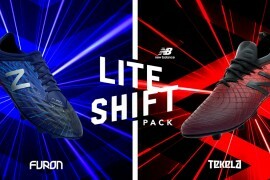 Indeed, it seemed much of the debate centered around that rather than the numerous technological advances the Nike designers had come up with. So it should come as a huge surprise that the second version of the Laser III is somewhat more traditional in' looks. The K-Leather model in a White / Obsidian / Gold colourway is available now on pre-order and will be retailing from 1st February from £129.99. 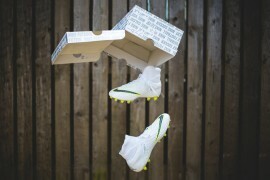 The boot also comes with access to Nike Football+, a digital coaching programme which we first saw with the CTR360 Maestri. 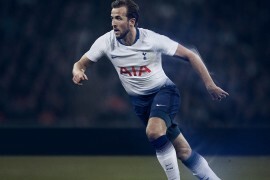 The system, which you can access at nikefootball.com via a special user code unique to each pair of boots, aims to help players improve their skills with insights, training drills and instruction from the coaching team at Juventus. 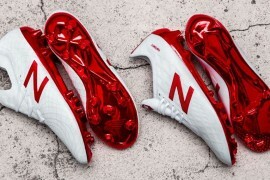 As for the boot itself, particular attention has been paid to the instep area and how players connect and put swerve on the ball. The result is a newly created shot shield designed for a cleaner strike on the ball for increased power, ball swerve and accuracy. Modular Instep – five pods on the boot create a uniform contact point that creates a smoother surface for even pressure distribution. The pods are configured as five separate units that operate as one to remain flexible and fluid when interacting with the foot. Advanced shape-correcting memory foam – provides a smooth and more consistent surface to enhance accuracy when shooting. This unique foam adapts to the demands of the individual player. 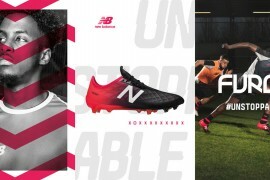 Engineered Fins – raised TPU fins on the medial side of the boot deliver increased friction on ball contact to ensure more swerve when you need it most. Each fin is strategically angled and sized to enhance control over ball trajectory, but fold on contact with the ball to accommodate great touch and feel. I’m probably going to be in the minority but I think I prefer the green version. Nice. The green version was never that bad and this one has nothing wrong with it. Decent. the problem with there is that every colourway will be ruined by ugly ugly black rubber. The predators can colour their zone easier and therefore they are better looking. the gold color looked like copper-brown instead, decreasing the classy factor of its appearance. beckham’s white LA galaxy powerswerve still the best example of applying gold color on football shoes IMHO. since i’m already notorious with laser III, i don’t know what else to say… this just won’t grow on me -no matter how sweet the next colorway is. did we ever find out why el nino was wearing the Laser II’s against Villa? 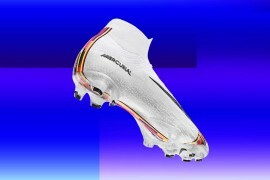 this colourway (white n gold) has been in the kitbag.com for over a week i think…mybe two..haha..
btw eric, el nino has changed his boots for many times b4.. like he changed to white nike coloured boots for SPain’s final games againts germany..
so, i think, mybe el nino will prefer this colourway as i personally feels that el nino is more comfortable with white coloured boots. would prefer anything wether preds, laser or wave as long as the rubber sweet spots are not as low-profile as the last few preds and the laser before this. mizunos are actually good… though too much predator influence.